We offer a full line of different hose for all of your agricultural needs. Some of our popular types of hose are PVC suction hose, Rubber Hose, EVA Hose, and Vinyl tubing. Specifications for each are listed below. Please contact us with questions or for pricing. Kanflex 390 SD is an all weather suction and discharge hose for liquids in the agricultural industry. Temperature ranges are – 40F to 140F. This hose is great for outdoor applications that are exposed to sunlight and extreme conditions. It’s also very flexible in hot and cold environments. The hose is made up of EPDM rubber, polyethylene helix, synthetic braiding, smooth bore, and a corrugated O.D. This hose is a lightweight, rugged, and flexible suction/discharge hose for the agricultural industry. Temperature ranges are – 30F to 140 F. This hose is great for outdoor applications that are exposed to sunlight and extreme conditions. It’s also very flexible in hot and cold environments. The hose is made up of EPDM rubber, polyethylene helix, synthetic braiding, smooth bore, and a corrugated O.D. This hose is ideal for suction and discharge of water, light chemicals and pumping service for the agricultural industry. Temperature ranges are – 10 F to 130 F. This is a smooth bore hose made of flexible abrasion resistant extruded PVC with a rigid PVC helix. This hose is ideal for suction and discharge of water, light chemicals and pumping service for the agricultural industry. Temperature ranges are – 10 F to 130 F. This is a smooth bore hose made of flexible abrasion resistant extruded clear PVC with a rigid PVC helix. 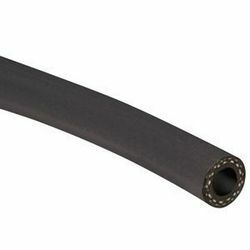 EPDM Rubber Spray Hose is a versatile general purpose hose which is excellent for air and water service as well as many agricultural chemicals. The EPDM tube and cover resists heat, sunlight, ozone, and weathering. Exceeds RMA class C medium oil resistance requirements. Closely plied reinforcement of 2 or 4 spiral high tensile textile cord provides excellent coupling retention and kink resistance. Clear Vinyl Tubing is ideal for liquids and also for a sight gauge on storage tanks. 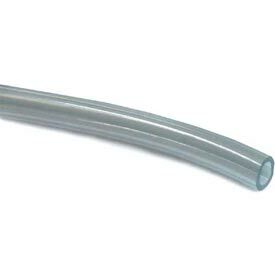 A clear, flexible and lightweight tubing that provides full-flow viewing. The clear vinyl tubing is constructed of polyvinyl chloride. 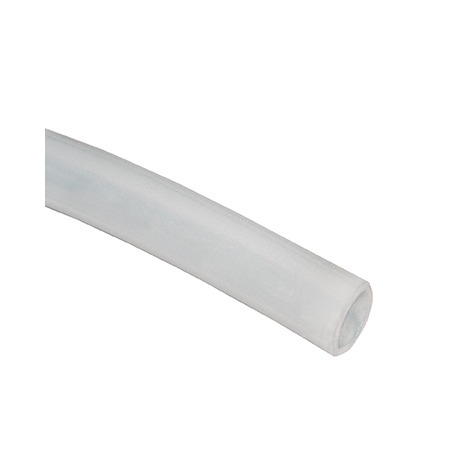 Reinforced Clear Vinyl Tubing is best used when a clear hose needing reinforcement and higher working pressure is required. Good for applications such as air, water, and pneumatic lines. Temperature ranges are – 20 F to 150 F. The tubing is constructed of clear polyvinyl chloride reinforced with synthetic cord. EVA hose is used for the application of anhydrous ammonia, aqua ammonia, phosphates, and all liquid fertilizers. Temperature ranges – 50 F to 125 F. EVA tubing is constructed of ethyl vinyl acetate plastic tubing.